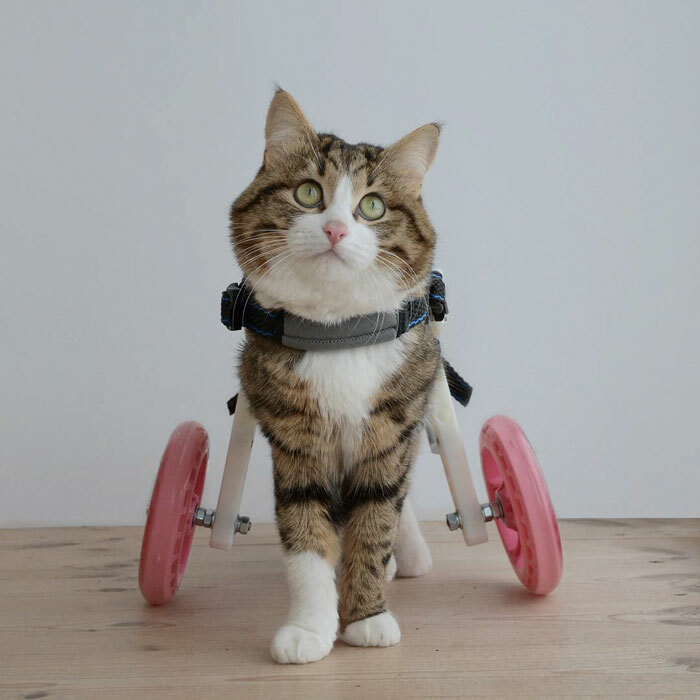 Rexie cat had a bumpy ride early in life when his owner abused him and made him become partially paralyzed. 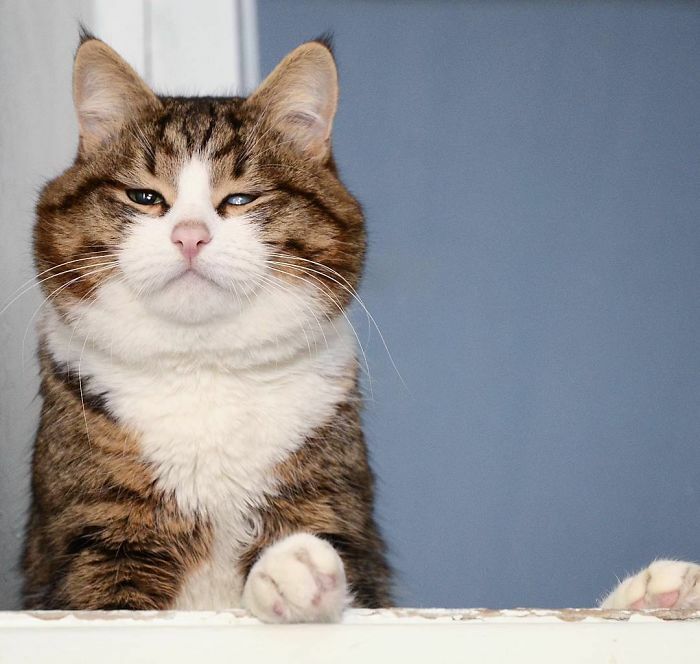 Nowadays, his current owner, Dasha Minaeva, changed his life and you can see his joy through his hilarious facial expressions that made him famous. 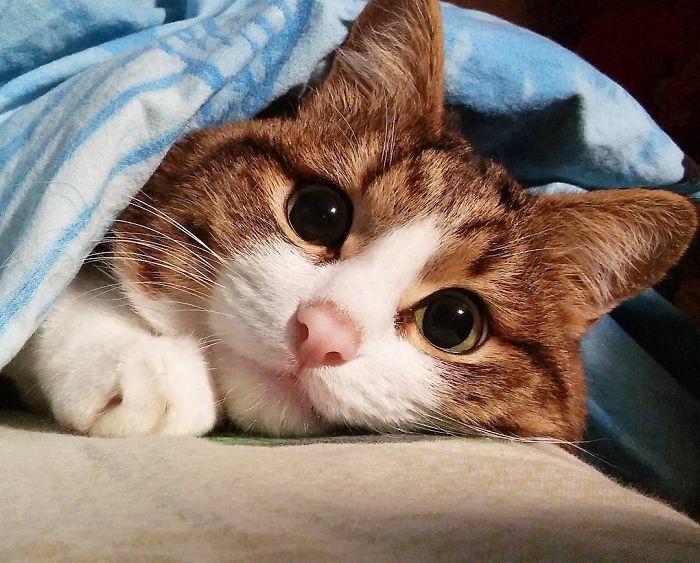 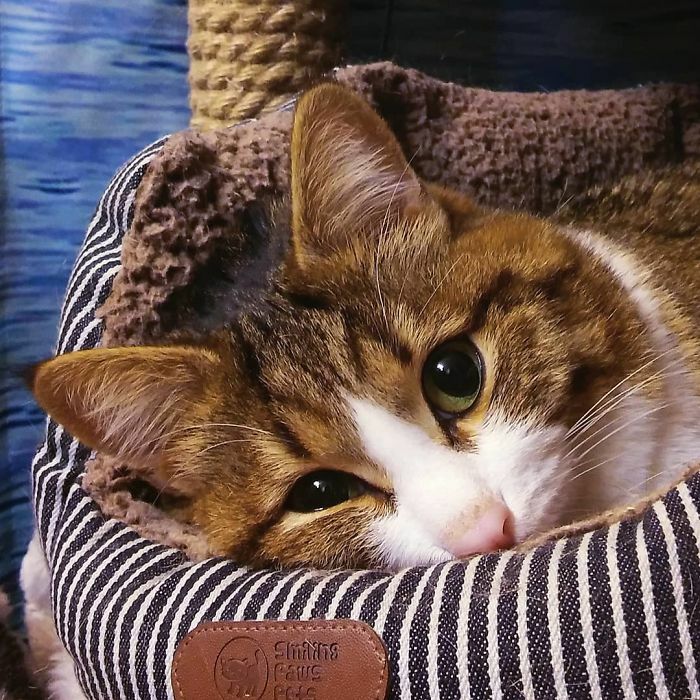 Unlike dogs, cats can be quite distant and cold at times, as any cat owner that got the cold shoulder from these four-legged creatures knows. 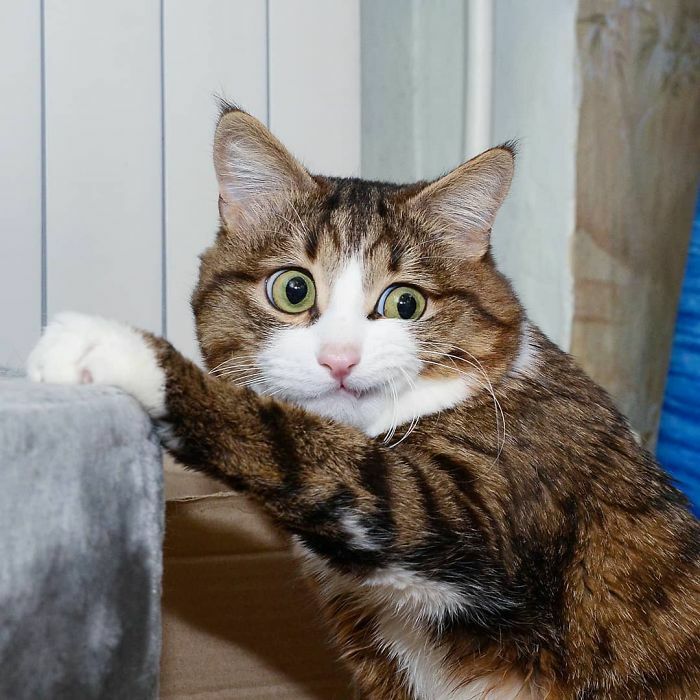 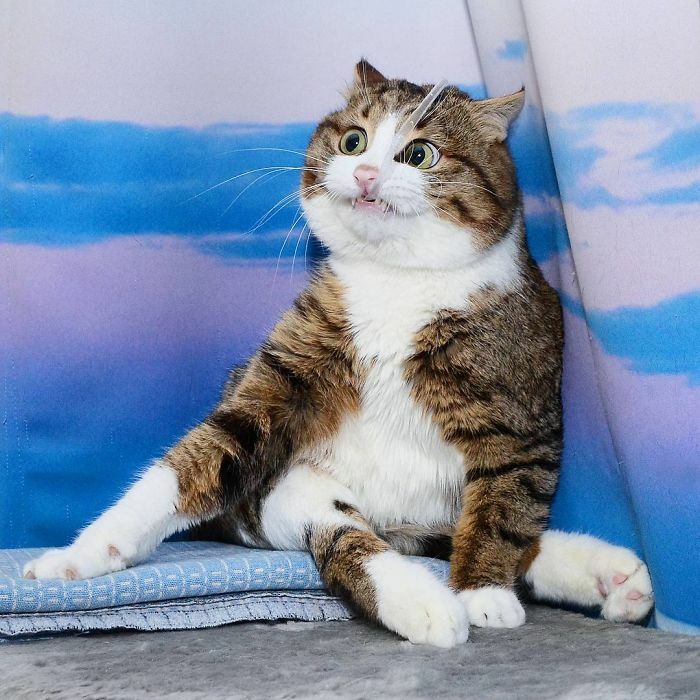 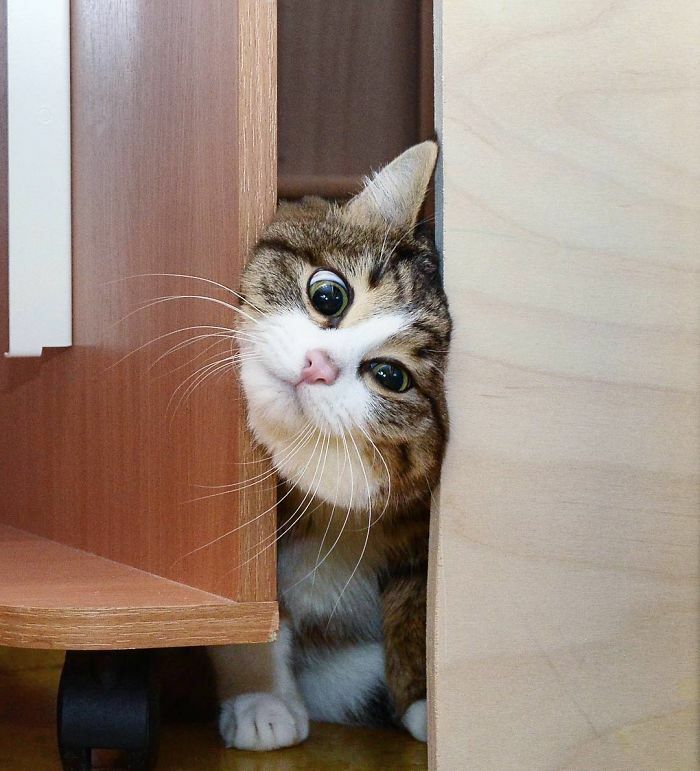 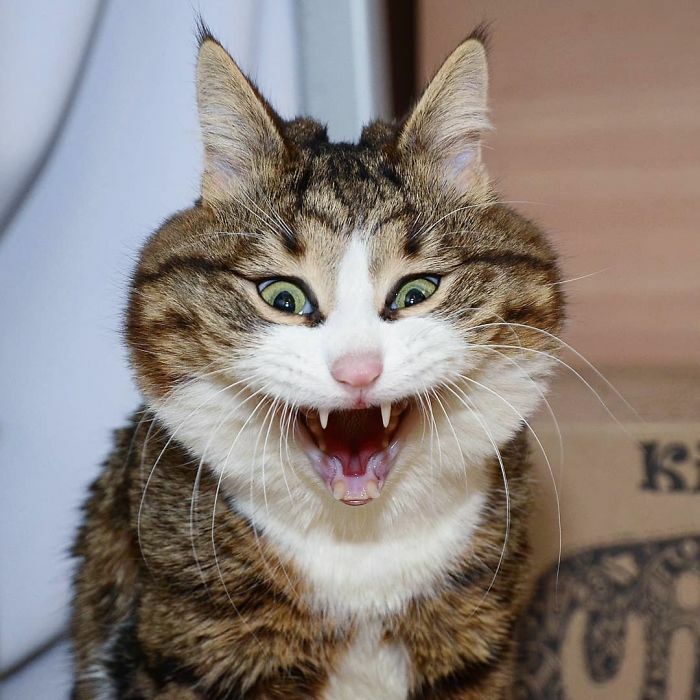 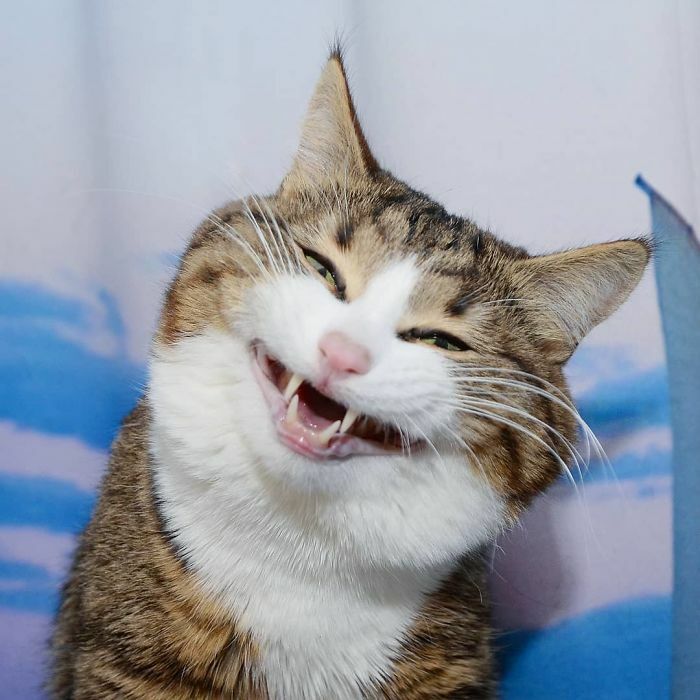 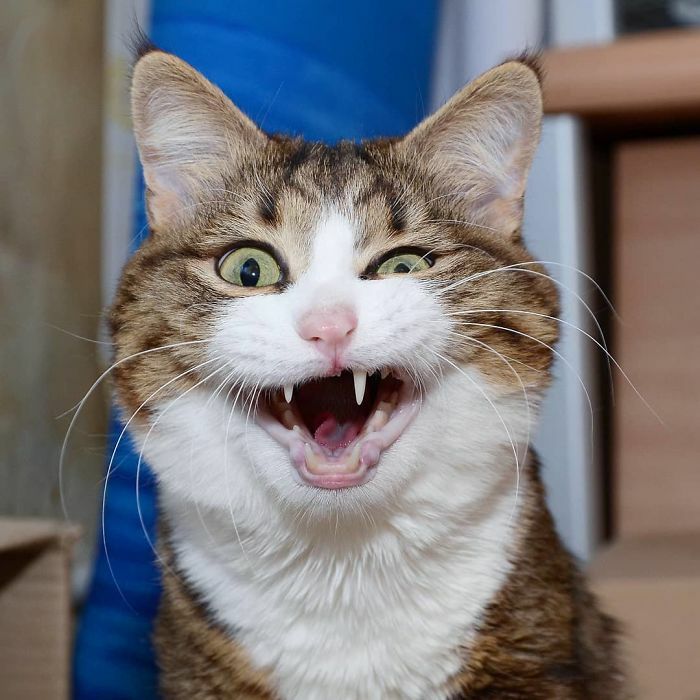 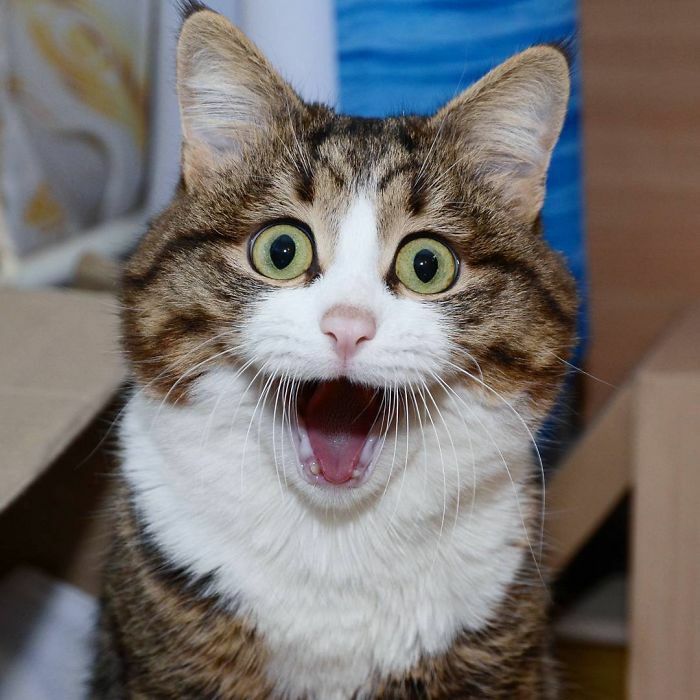 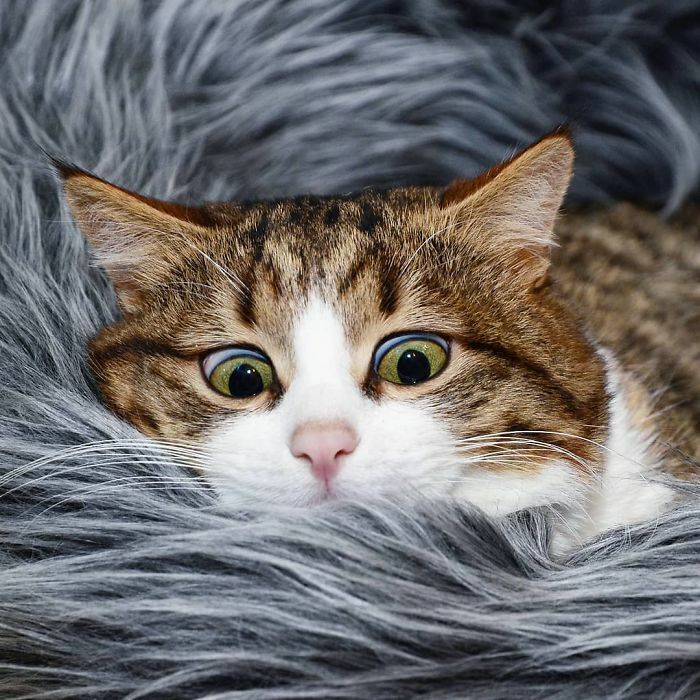 One very special cat is taking the internet by storm with his perky personality that comes across in the hilarious facial expressions he strikes for the camera – meet Rexie. 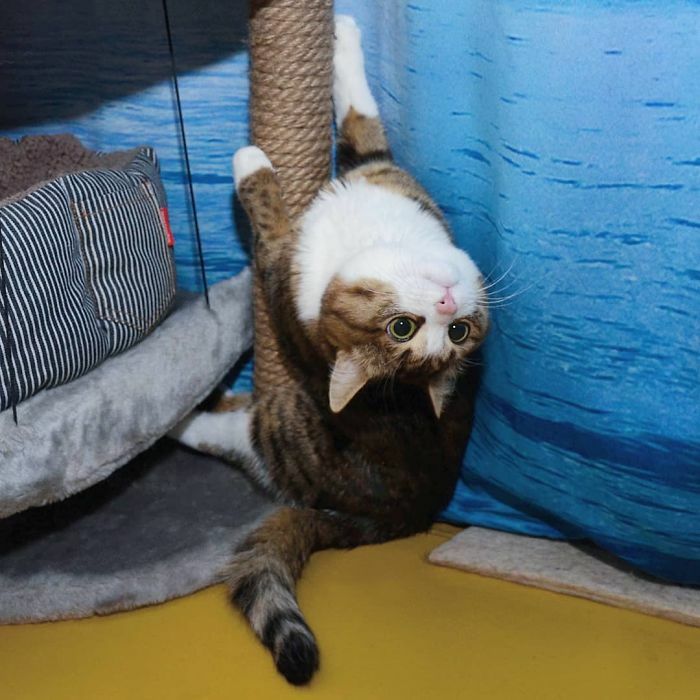 Despite his unusual and upbeat personality, Rexie did not have an easy start… his previous owner abused him when he was small and left him partially paralyzed. 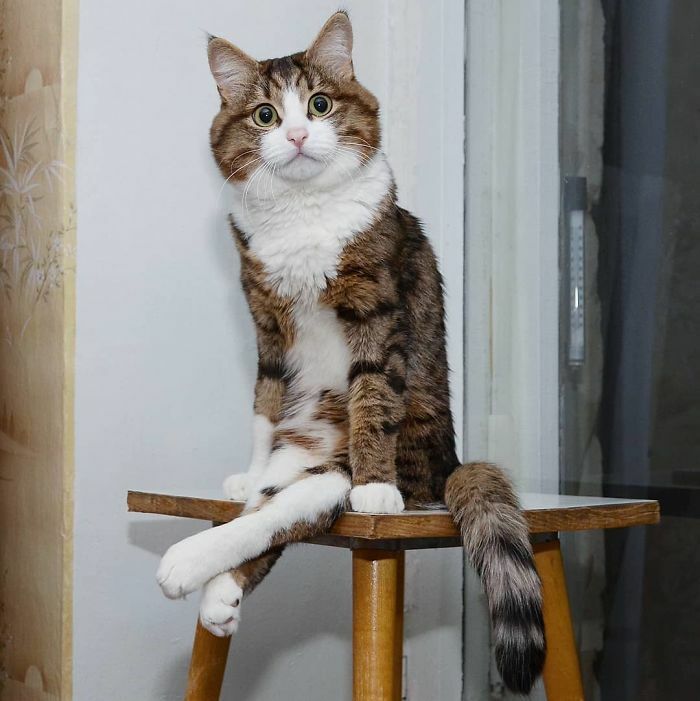 Because of the mistreatment he endured, Rexie was left with a broken backbone and an inability to move his rear legs. 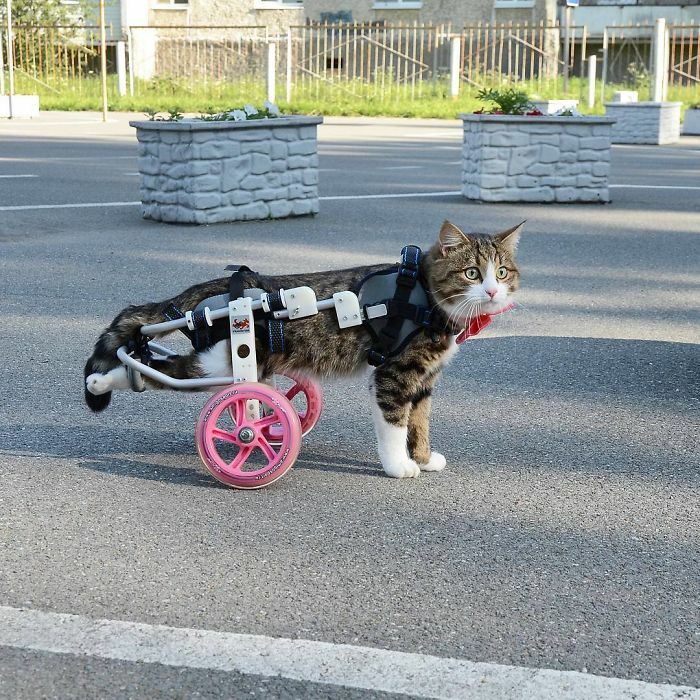 His current owner, Dasha Minaeva, took the kitty under her wing and arranged for him to have a special wheelchair so he can move around. 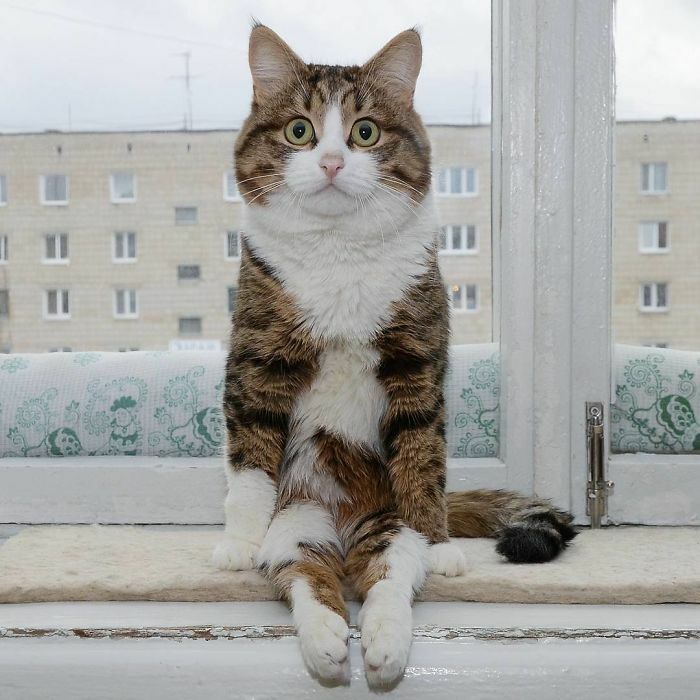 After an adjustment period, Rexie started doing things just like other cats, according to Minaeva. 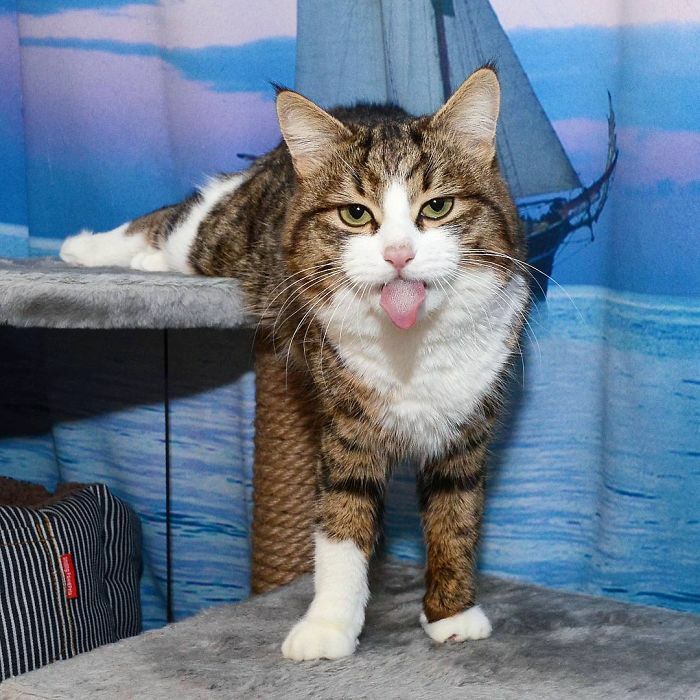 One of Rexie's favorite things to do these days is pose for the camera and make funny facial expressions that other cats just don't make. 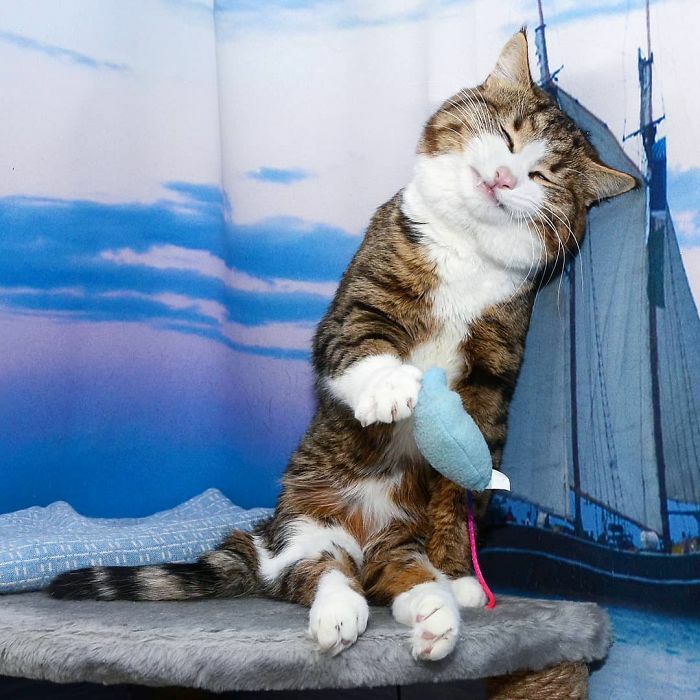 The happy kitty, that was nicknamed 'Cat-King of Bleps' has a much better life now thanks to his owner, and he expresses his joy with his goofy expressions that went viral.